A few weeks ago when I did my 'What's on my iPhone' post I wanted to show you my phone cases as well. However, if I had included them in that post it would have been really long. So I am going to show you them today. This is the newest addition to my collection. 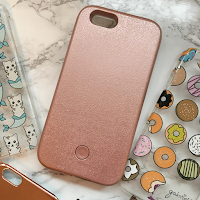 This case is a plain copper one with a mirrored effect. It's really nice but is very prone to scratches and finger prints. It is around £3 from New Look. I got this phone case at the same time that I got my phone. This was limited edition merch from Gabbie (Gabriella Lindley on Youtube) so unfortunately you can't get it anymore. 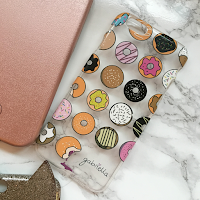 I like that it is clear so that you can see the rose gold of my phone but there is also the fun, different designs of the donuts. 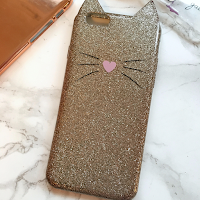 This silver, glittery case is from H & M. It also has cat ears at the top which is so cute as I love cats! I think this was around £6. The next phone case is a rose gold one from B & M Bargains. This case is very similar to the Lumee case in that it lights up at the front. This makes it really good for taking selfies in the dark. I got this as a Christmas present but it cost around £8. Those are all of my phone cases. 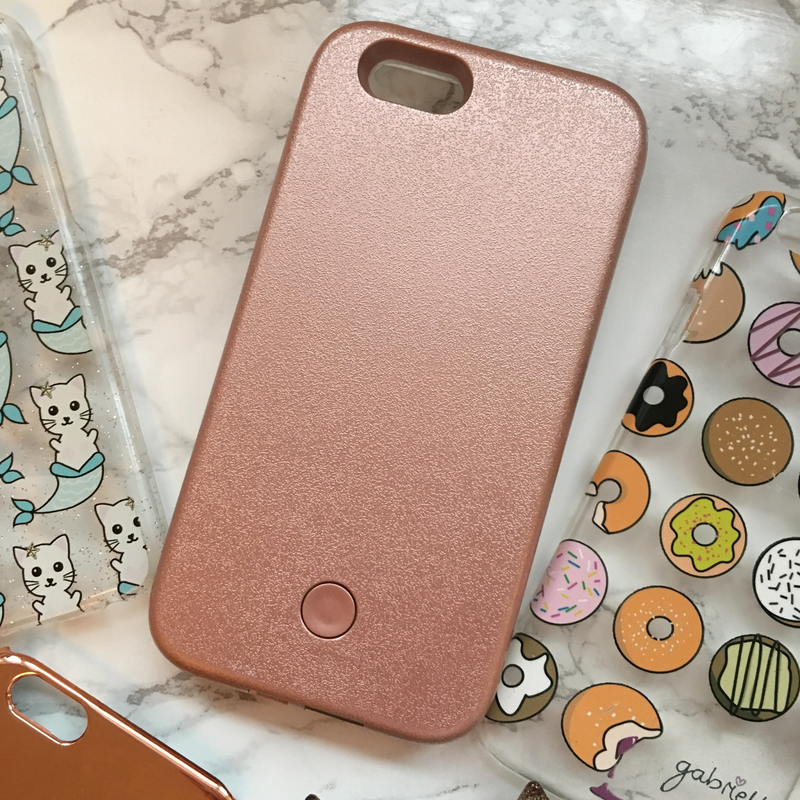 Let me know in the comments: do you have a case on your phone just now and if so, what is it? I have the copper New Look one on my phone.